Playful Pinwheels Bouncer is rated 3.5 out of 5 by 2. Everyone needs their own happy place. This infant bouncer from Bright Starts is made just for your little one: a babies-only hangout where the only ticket to entry is adorableness. 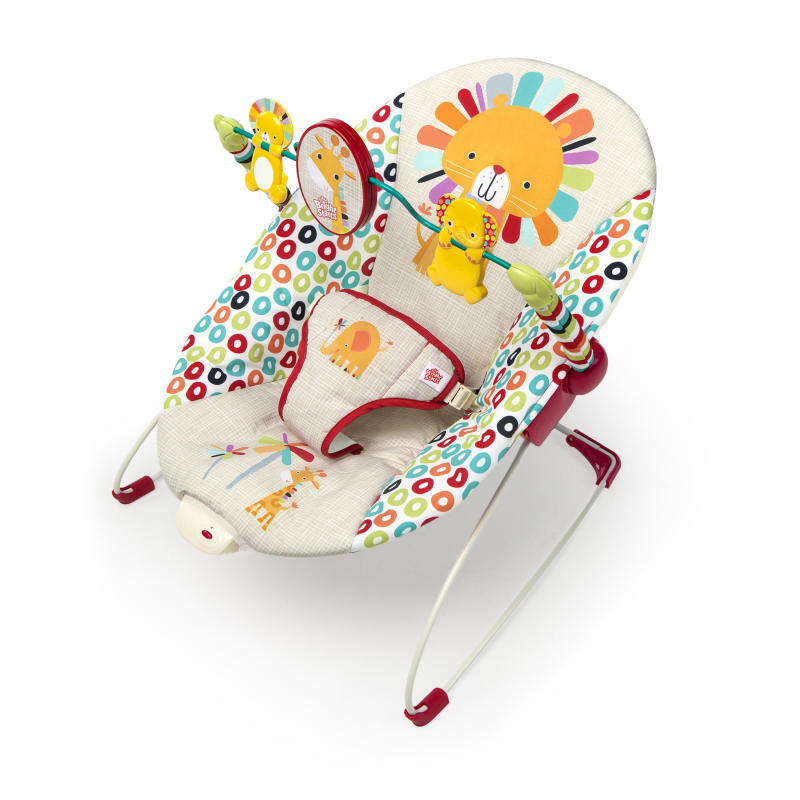 Spin up sweet moments with the colorful pinwheel design, and keep baby calm with smooth vibrations. One happy baby! A toy bar hangs above your baby with cheerful toys that spin and spin. When you’re ready to scoop up your baby, the toy bar easily removes. With a lightweight and portable design, baby’s happy place can be with you. Rated 3 out of 5 by Mamag816426 from Disappointed, bar broke I bought this when my daughter was 4 months old, and shes used it all of maybe 20 times. The bottom bar in the frame snapped while she was in it. Thankfully she wasn't hurt, but I'm disappointed in the product. Rated 4 out of 5 by Grandpa from Assembly Well Thought Out - But . . . Assembly of this item was thought out well, however, there was a problem at step 2 getting the parts to fit properly. I had to use an 8 inch round metal file to file down the burr inside the metal tube. Probably most people do not have this kind of a tool. Once I filed down the burr inside the tube, then the parts fit together fine.